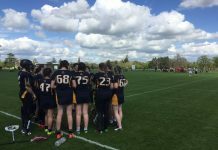 Men’s Lacrosse ended the season in style at a bright and sunny Colney Lane last Wednesday (21 March) as they cruised to a crushing 8-0 victory against the University of Nottingham II. 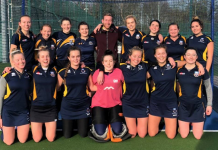 Earlier in the season, UEA edged out Nottingham 8-7 in the away fixture, so the convincing nature of this result may come as a surprise to some. Not so for those who were in attendance though, as the superiority of the home side was clearly evident from the outset, and the scoreline could have been in double figures on another day. This huge win caps off what has been a highly successful season for the Eagles, who finished in second place in the Midlands 2A division, only overshadowed by Leicester I, who recorded a flawless 10 victories from 10 games. The victory was never in doubt. Nottingham were completely overrun and out-performed by an impressively ruthless, aggressive and talented UEA side. The visitors were completely futile in attack, and they rarely threatened the UEA goal as they failed to counter the hosts’ superior checks and slashes. The rapid pace and aggression of the tenacious midfield supplied the dirty work for UEA, thwarting Nottingham’s attack before offloading to the attackers who were more than happy to take advantage. Rob Gale was the greatest beneficiary, grabbing himself a hat-trick with a number of notable finishes, two of which came in the opening quarter to give his side a 2-0 lead. His opening goal came after Michael Pullinger had darted through a number of Nottingham players to set up a dangerous counter-attack, before offloading to Gale who finished with aplomb. His second was a close range finish after careless defending from the visitors. The second half of the game saw UEA rack up the goals, as Nottingham failed to deal with their fast-moving play, accurate offloads and precise finishing. Michael Bolton added his name to the scoresheet with a clever flick, getting in on the act with Gale and Dickson. As Nottingham began to tire, UEA kept their foot on the pedal and punished their opponents with a number of neat moves. It was 5-0 by the end of the third quarter, and UEA then added another three in the final period to really add insult to injury. This impressive victory capped off what has been a successful year for UEA Men’s Lacrosse. 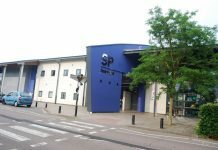 Not only have they finished in a superb second place in the league, but they also reached the semi-final stage of the Midlands Conference Cup.